JEE (Joint Entrance Examination) is an all India common engineering entrance examination conducted for admission to various engineering colleges and courses all over the country. JEE comprises of two stages - JEE Main and the JEE Advanced. JEE-Main exam is for admission to National Institutes of Technology (NITs), Indian Institutes of Information Technology (IIITs), Centrally Funded Technical Institutes (CFTIs) while the JEE-Advanced is for admission to the elite Indian Institutes of Technology (IITs). Only the students selected in JEE Mains are eligible for appearing in JEE Advanced. Besides IIT's, JEE Advanced scores are also used by the Institutes like Indian Institutes of Science Education and Research (IISERs), Rajiv Gandhi Institute of Petroleum Technology and Indian Institute of Science for admission. JEE Advanced is the popular examination conducted by the seven zonal Indian Institute of Technology (IITs) under the guidance of Joint Admission Board (JAB). 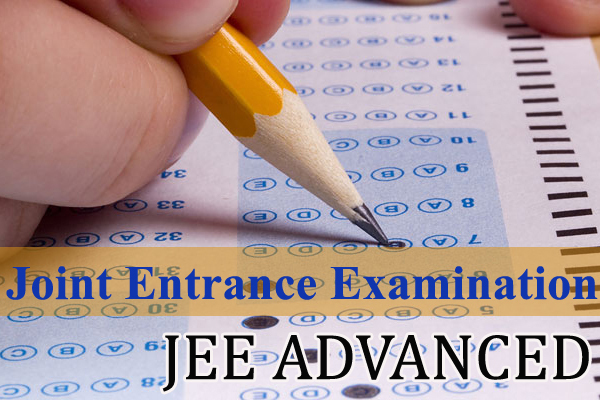 JEE Advanced is the second stage of Joint Entrance Examination (JEE). Only the top students who qualify JEE-Mains can appear for the JEE-Advanced examination. JEE Advanced is a national level examination held for admission to undergraduate programs at various Indian Institute of Technology (IIT's). The performance of a candidate in this examination will form the basis for admission to the Bachelor's, Integrated Master's and Dual Degree programs (entry at the 10+2 level) in all the IITs. The decisions of the JAB will be final in all matters related to JEE (Advanced) and admission to IITs. Indian Institutes of Technology (IITs) are institutions of national importance established through Acts of Parliament for fostering excellence in education. Over the years, IITs have created a world class educational platform that is dynamically sustained through quality teaching and internationally acclaimed research with excellent infrastructure and the best available minds. The faculty and alumni of IITs occupy key positions in academia and industry, both in India and abroad, and continue to make considerable impact on all sections of the society. At present, there are twenty three IITs across the country. The candidates can attempt JEE Advanced examination two consecutive times. Through JEE (Advanced), IITs offer admission into undergraduate courses leading to a Bachelor's, Integrated Master's or Bachelor-Master Dual Degree in Engineering, Sciences, Architecture and Pharmaceutics. Both Bachelor's and Master's degrees are awarded to candidates enrolled in the dual degree programs upon successful completion of the course curriculum. In a few of the IITs, students enrolled into the 4-year Bachelor’s program have the option to convert to B.Tech. (Honors) and/or B.Tech. with Minors.